Good Morning from Carlisle PA! and of course, lots of fresh coffee! 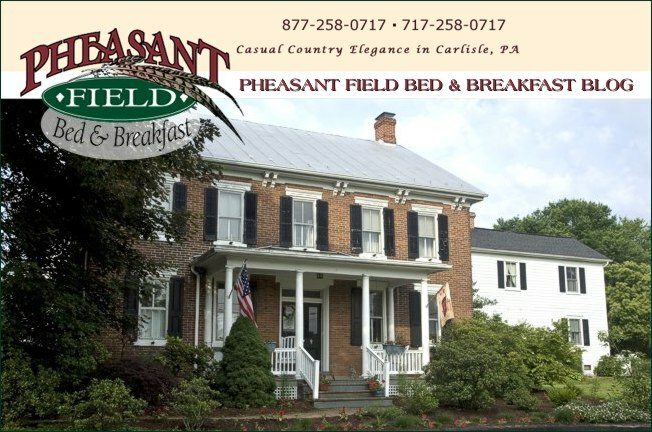 The recipes for the muffin and the eggs can be found in our cookbook, "Pheasant Field Favorites". We hope this breakfast will get all the guests off to a great start as they head home or on to their next destination. We had equine guests who checked-in on Friday - traveling from Maine to Florida. Because of the challenging weather, the horse owners decided to stay an extra night. Their next stop will be in North Carolina - then on to Florida where they will participate in a clinic for 3 weeks. I'm sure that the weather in FL will be much warmer than they would experience if they stayed home in Maine! Today is Super Bowl Sunday. Don't forget to watch a little bit of the "Puppy Bowl" on Animal Planet, then cheer for one of our favorite PA teams - The Pittsburgh Steelers!